Sony first entered the world of wearables with the Sony SmartWatch. Now with the SmartBand it's turning its attention to helping you monitor your daily activities. But unlike trackers like the Fitbit Flex or the Jawbone UP24, it's not simply about counting steps or counting calories. Embracing the concept of life-logging, the SmartBand lets you see how much time you spend on all the other stuff that can get in the way of your dreamed-of healthier you. You can log Facebook time or how long you've been playing Real Racing rather then working out. It's all about getting a more detailed picture of your day-to-day life but will it help us lead a happier, healthier life? Read the Sony SmartBand review to find out if logging life really does take activity tracking to the next level. 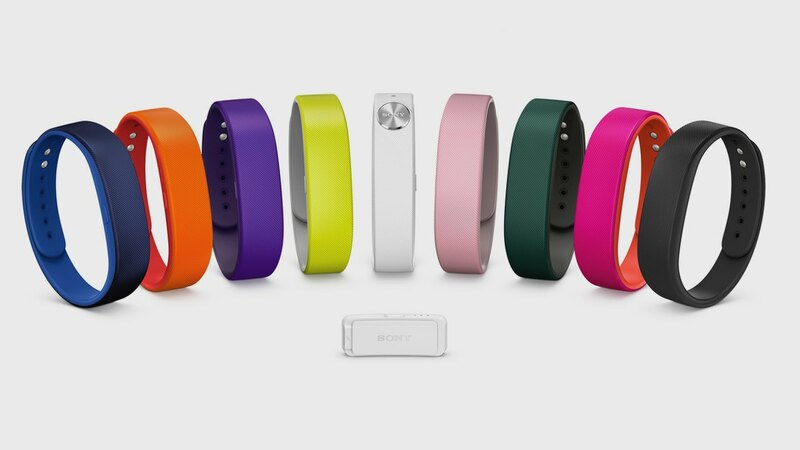 The Sony SmartBand is a simple-looking silicone rubber wristband that's comes in no less than nine different colours. From understated black to bright pink, you have the option to make yours a stand out conversation starter or a subtler accessory that won't look odd with that Ted Baker suit. Comfort is key for something you're going to be wearing 24/7 and with two different sized bands to choose from in the box, even the most unconventional wristed should get a decent fit. Overall it wears well, avoiding the clamping feeling you can get with some other activity bands. See also: LG G Watch v Samsung Gear Live: what are the differences? The brains of the SmartBand operation is the 'Core', a small removable module that sits inside the rubber strap. The good news here is that while small grooves in the band are a bit susceptible to grime, this removable Core means you can always replace your wristband either to keep it looking fresh or for a change of colour. Something Sony hopes will give their band bigger fashion appeal. The Core itself features a single button that lets you switch between day and night modes, and activate life bookmarking as a well as a few other assigned controls for partner apps like Sony Music or your smartphone camera. With a simple tap of the button, the Life Booking feature will record the location and add to your timeline, so whether it's a nice restaurant or a good pub you can keep tabs on all the important things you encounter in a day. It's a bit like checking in with Foursquare (does anyone still do that?) but made much more simple. The ability to use the SmartBand as remote control from your Spotify or Sony Music player app is a also really nice touch, and while we struggled with a few of the controls, in the main it pairs easily and works well. Sadly controlling your camera was less impressive. We often failed to get it to work with the app. The whole experience was too clunky. The Core also hosts a row of white LED notification lights that glow through the strap and there's NFC support so you can tap and connect to a compatible smartphone. But there's one big thing that's not included. Just like the Jawbone UP24, the SmartBand's is missing any kind of display.This lack of screen means you have to check your smartphone everytime you want an update on where you are against your daily goals. While the app is a beauty, this can be a bit frustrating. However, what it lacks in screen smarts the Sony tracker makes up for with water-borne skills. Unlike the Nike FuelBand SE, it's both waterproof and dustproof so it's fine to take into the shower and you can even go swimming with it. And then there's simple charging. One of the most pleasing elements is Sony's decision to include a built-in micro USB port to charge the SmartBand as it means there's no need for a proprietary docking cradle. A blessed relief from all the manufacturers who insist on making us take six different cables with us wherever we go. Like most activity trackers it uses an accelerometer to track movement and also has a vibrate feature which can be used as an alarm to gently wake you up in the morning or to respond to notifications from your smartphone. The Sony SmartBand also packs some smartwatch-style tricks as well and can be used to control apps on your smartphone. You can use it as a remote for music playback, take photos and even locate your smartphone when it goes walkabout. The SmartBand records much of the same data other trackers currently can, like steps, distance covered and sleep tracking. Hitting the button on the SmartBand activates sleep tracking, which is broken down into deep sleep, light sleep and the times when you were awake. There's also an auto sleep mode if you forget to hit the button and depends on keeping strict sleeping patterns. It can also record other activities you spend time using your smartphone for. There's 12 in total and that includes usual activity tracking suspects like step count, walking, running and sleeping. Additionally it also records how long you spend watching videos, playing games and communicating via Twitter and Facebook. Some of this data is based on estimated calculations and does mean there can be inaccuracies and cases where activities get mixed up. There's three apps in total you need to download. The first two are more concerned with setting up the SmartBand with your phone but the one that you really need to worry about is the Lifelog app. It's compatible with Sony smartphones like the Xperia Z2 and selected Android smartphones like the Samsung Galaxy S5 and the HTC One (M8). All of these phones run on Android 4.4 Kit-Kat and support Bluetooth 4.0 to wirelessly sync the SmartBand to your phone. The Lifelog app is where data for all of your activities is stored and can be viewed. You can look back at your day in the Lifelog timeline, letting you see what you've done from the time you've woken up all the way to the time you hit the hay. Each of the activities can be expanded to see more detail and there's also the option to adjust daily goals. So if you decide you want to spend less time gaming and more time taking the dog for a walk, this is where you line up those personal challenges. Being able to go beyond steps, moves and Fuelpoints into everyday activities is a really nice idea. Keeping the Sony SmartBand running is a 35mAh Li-ion battery that can be charged via a standard Micro USB cable. In our tests we squeezed out five days usage from a full charge. It's not quite the year-long lifespan of the Garmin Vivofit but it does only takes an hour plugged into the wall to juice the SmartBand back to full power. Sony’s attempt to make activity tracking more than just a fitness fad is a noble aim but sadly the SmartBand in its current guise falls sadly short. We love the idea of life logging but there needs to be a little more depth to the data. Not to mention better accuracy for the fitness and movement measurements we do still want to tack. That said, lack of screen aside, the design is solid and the app is really well designed. Sony has hit on something interesting but hasn’t quite nailed it this time around.